Corrugated sidewalls and cleats can be added to help contain product and support transferring up and down elevations. The inclined power conveyor increases usable space by utilizing basements, mezzanines, lofts, and other limited access areas. Various types of belts and materials are offered to support most conditions including wet applications, heat, sharp objects (cut-resistant belts), or if slippage or grip is desired. In certain applications they can also be used for static accumulation of cartons. Please contact an Account Executive by phone 519-740-3201 or email to receive a conclusive list of appropriate options. Electrical Controls: Magnetic starter, combination starter, DC variable speed drives. Lanyard emergency switch, photo-eye and various part sensors. Side Tables: One or both sides. Top of belt heights can be above listed range please specify when ordering. The below chart lists “standard” Belt Conveyors in which we manufacture and sell with highly competitive pricing and lead times. 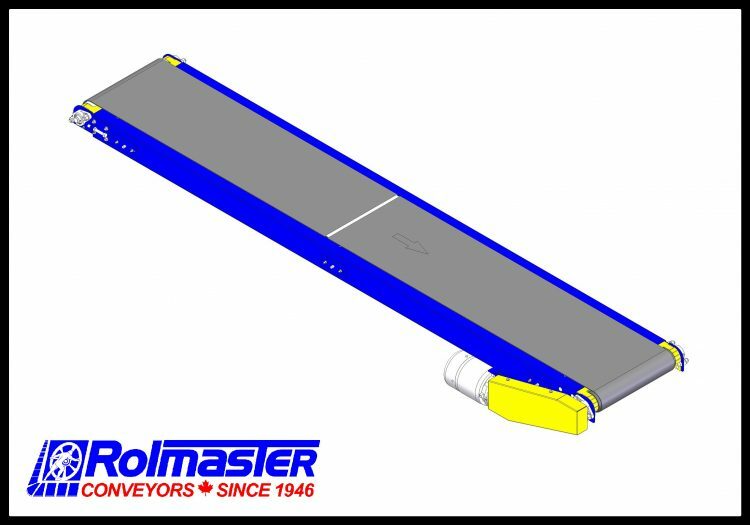 Rolmaster can accommodate most custom “non-standard” Belt Conveyor requests. 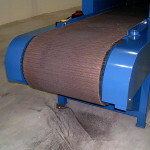 A medium duty belt conveyor ideal for applications that require a powered means for conveying products. Typically used in box handling applications. Because of the simplicity of the flat, moving belt, they can be used to move a variety of product sizes, shapes and weights effectively for long lengths with a single drive. MDCSW Medium Duty Channel Slider Bed "Wide" Conveyor Model MDCSW is a wide version of the MDCS, constructed with channel rails and a slider bed which provides an economical design suitable for many applications where light weight products need to be conveyed. 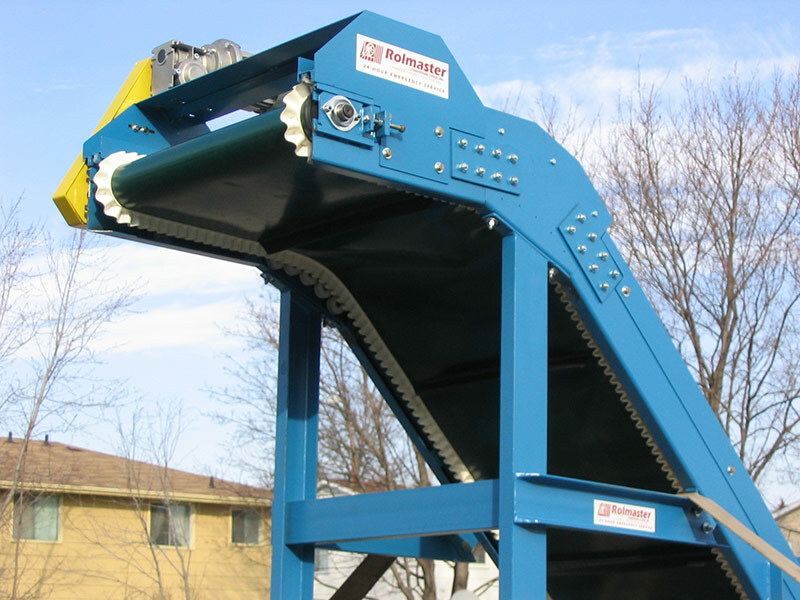 The model's frame with top flange makes it ideal for conveyor systems where sensors and other ancillary devices require mounting to the conveyor frame. The MDCSW provides a reliable way of transporting products in assembly, sorting, testing and packaging applications. 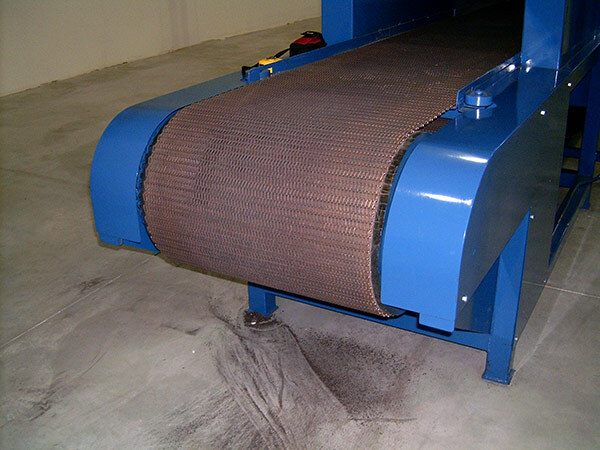 MDSWM Medium Duty Slider Bed Flatwire Mesh Conveyor Model MDSWM is a flat wire, slider bed belt conveyor used in applications where hot, cold or oil soaked parts need to be conveyed. It can also be used in drying or cooling applications because the open bed construction allows for free air flow. The conveyor can be used to convey parts up to 350 degrees F.
FTFSB Medium Duty Floor to Floor Slider Bed Conveyor Model FTFSB is a slider bed, inclined belt conveyor used to transport products up or down between floors. 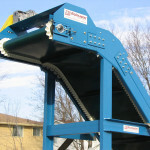 It can also be used as a booster conveyor in a system where gravity is used further down a conveyor line. The FTFSB is designed for inclines up to 30 degrees with a double nose-over providing smooth transfer of product as it transitions from the incline to a horizontal plane. 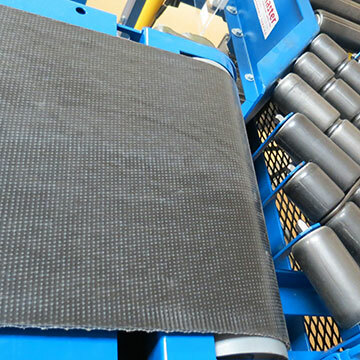 PBSB Plastic Belt Conveyor Model PBSB is a slider bed, plastic belt conveyor. 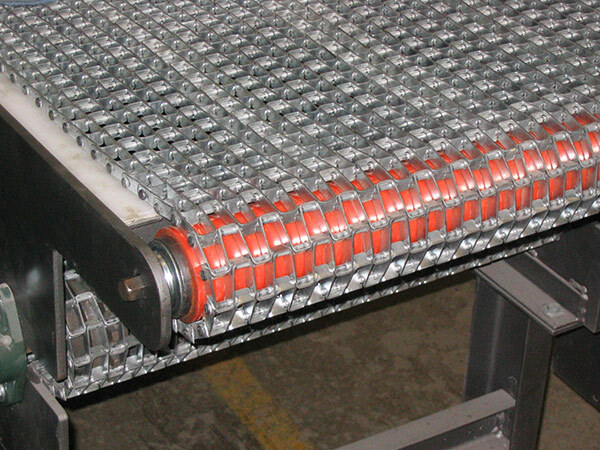 This conveyor is similar to a Medium Duty Slider Bed Conveyor that uses fabric belts, but instead provides the functionality and qualities associated with a modular plastic belt. Sprockets engage the belt for positive drive. 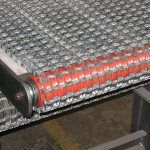 The modular feature of the plastic belt allows easy repair of worn or damaged sections without replacing the whole belt.